If your customers can't find you then that's a problem. Increase your website's organic search presence with our Full Service SEO Program. We'll make sure you get found! 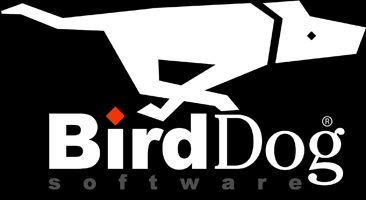 With so many businesses choosing BirdDog Software to design and develop their websites, it’s crucial that we continue to advance our web design, technology and SEO marketing efforts. That being said, we are pleased to introduce our Advanced SEO Program. A professionally built website, designed and built for your customers to use with ease, will boost your brand and provide a platform for your business to grow. To further your success online, you have to ensure that your website is optimized for Search Engines, namely, Google. At BirdDog, we have developed an Advanced SEO Program specifically created to help boost your website's organic search presence on the leading Search Engines. SEO is a huge part of the web industry that is often misunderstood and easily misleading. Too many businesses are promised top rankings or unachievable results. Becoming No. 1 on Google is a challenge. If it were easily attained we would all be there! Google gives 10 measly spots on the first page in their organic search results, making it impossible to "guarantee" a #1 ranking. However, we can greatly improve your rankings using our SEO-friendly web designs and technology to achieve the highest rank possible. Ultimately, we will increase your online presence, for the search terms you want to be found with, which will bring more qualified users to your website. Best of all, not only do we offer this amazing service for $300 per month but there is no contract, so if you want to stop at any stage, you can. Next: Contact Us today and let's get started making your website work for you!